Gastroesophageal reflux disease (GERD) is common worldwide with significant expenditure for health care. Community-based data on the prevalence of GERD in India remains scarce. This study was conducted to determine the prevalence of GERD and to identify potential associations. A community-based survey of adults (aged ≥18 years) was done through population proportionate to size sampling in urban and rural areas of Vellore district, Tamil Nadu, India. GERD was defined as heartburn and regurgitation occurring at least twice per week. Associations between GERD and gender, age, anthropometric measures, and consumption of tobacco, alcohol, meat, and milk were evaluated. Odds ratios (OR) with 95% confidence intervals were derived from logistic regression models. Of 6174 participants (3157 urban, 2599 male), 8.2% had GERD. The prevalence was higher in urban (11.1%) compared to rural areas (5.1%) (p < 0.001). Among patients with GERD, 34.3% used medications daily for symptom relief. On univariate analysis, GERD was associated with female gender, living in an urban area, age >30, BMI >25, and infrequent milk consumption. On multivariate analysis, female gender (OR 1.3; 95% CI 1.1–1.6), living in urban area (OR 2.3; 95% CI 1.9–2.8), age >30 years (OR 1.9; 95% CI 1.4–2.5), BMI ≥ 25 kg/m2 (OR 1.3; 95% CI 1.1–1.6), and infrequent milk intake (OR 1.6; 95% CI 1.3–1.9) were independently associated with GERD. 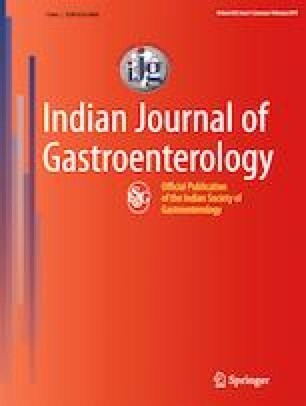 Symptomatic GERD was found in 8.2% of respondents in this representative southern Indian community, being more prevalent in urban residents, women, older, and obese individuals. SDC, GG, KR, BR, SP, JM, LJ, and BSR declare that they have no conflict of interest. The authors declare that the study was performed in a manner conforming to the Helsinki declaration of 1975, as revised in 2000 and 2008 concerning human and animal rights, and the authors followed the policy concerning informed consent as shown on Springer.com. The study was approved by the Institutional Review Board of the Christian Medical College, Vellore.